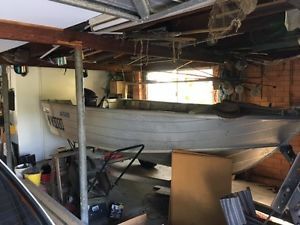 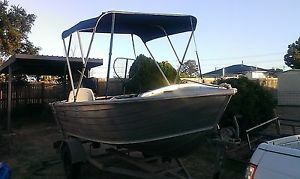 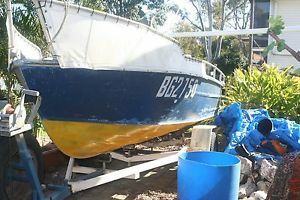 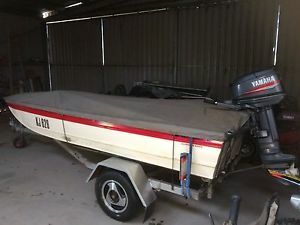 4.26M De havleland tinny with Trailer both with rego first to see will buy. 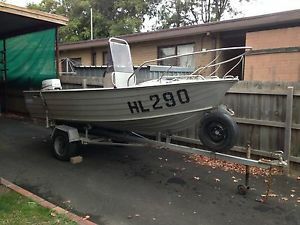 4.26M De havleland tinny with Trailer first to see will buy. 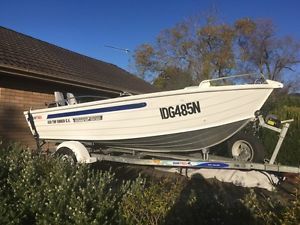 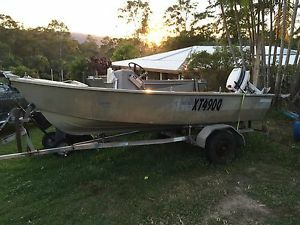 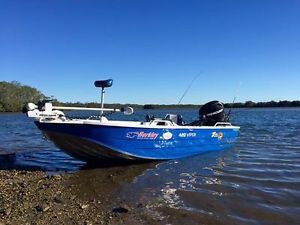 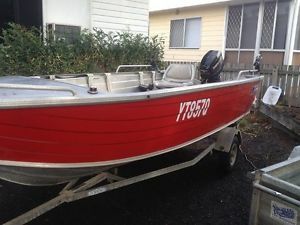 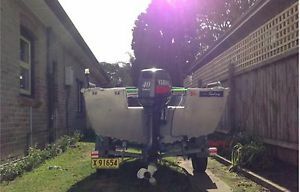 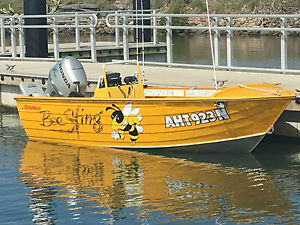 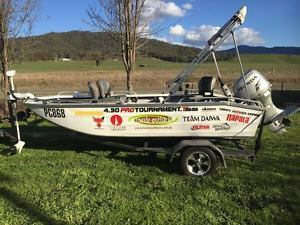 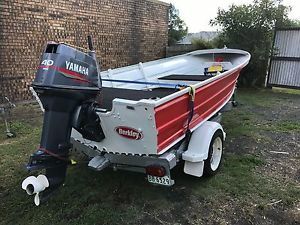 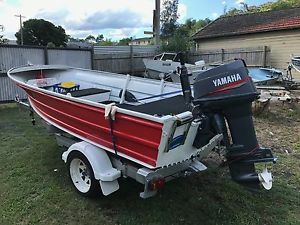 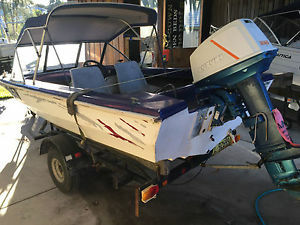 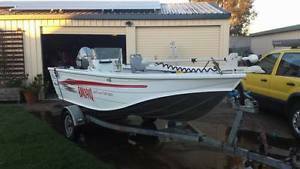 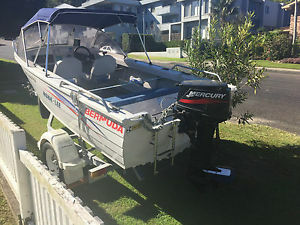 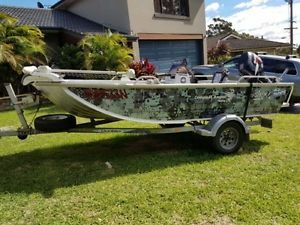 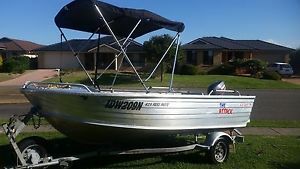 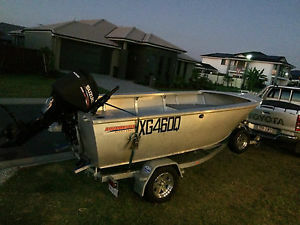 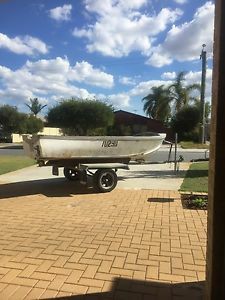 4.2M Bermuda tinny, Trailer, 30HP Mercury ALL REGO LIKE NEW AND READY FOR USE. 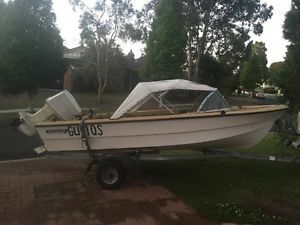 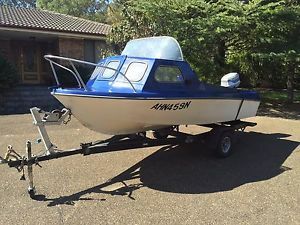 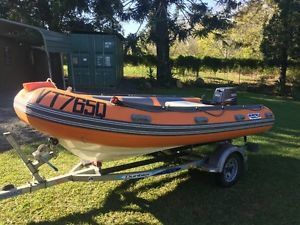 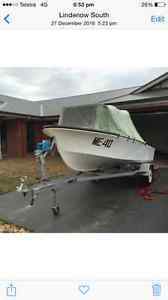 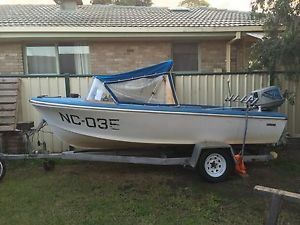 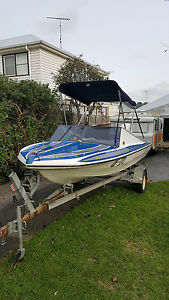 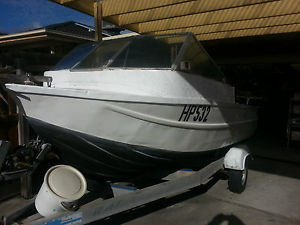 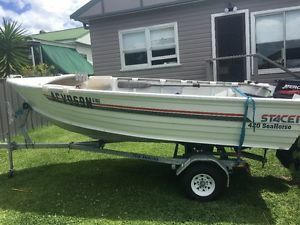 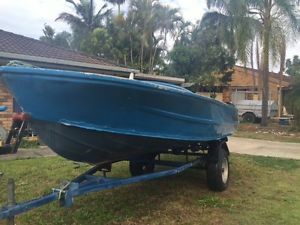 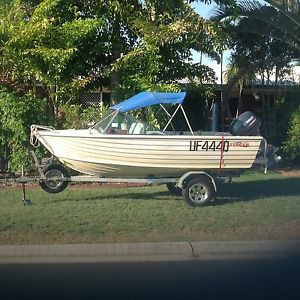 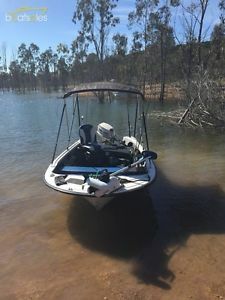 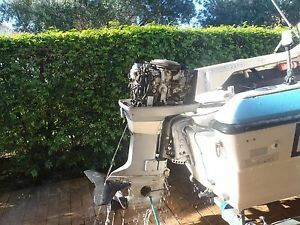 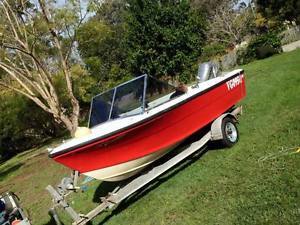 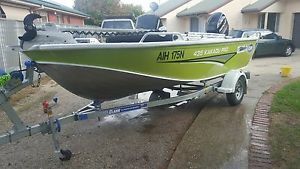 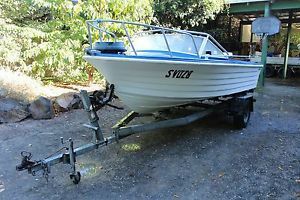 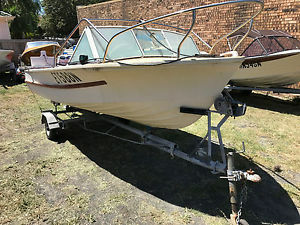 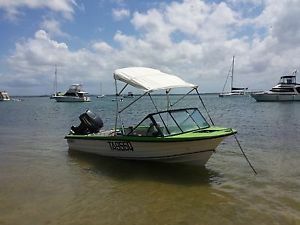 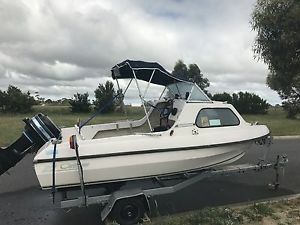 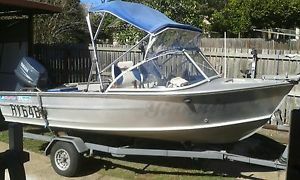 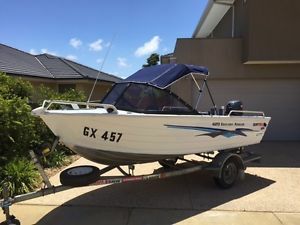 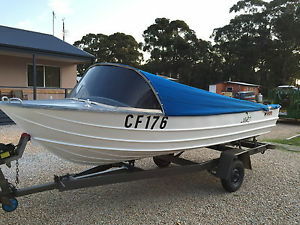 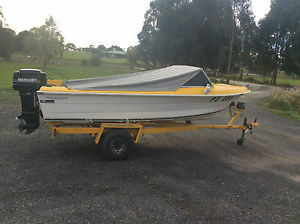 4.2M Fiberglass and Trailer with 40HP Suzuki all rego needs work selling cheap. 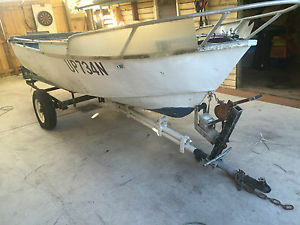 4.3 mtr Savage tinny, centre console, 35 hp Johnson, on trailer. 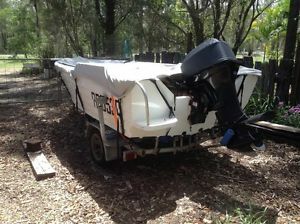 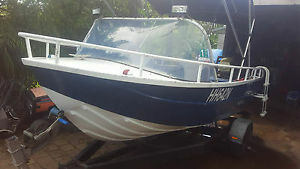 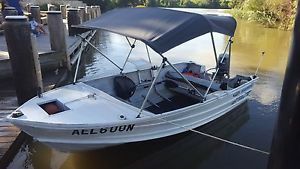 4.3M Quintrex fishabout With Trailer & 25HP Evenrude alway garaged. 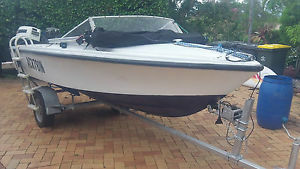 4.3M Quintrex Fishabout With Trailer & 25HP Evenrude. 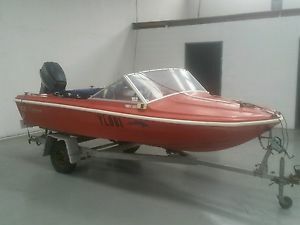 Always Garaged!